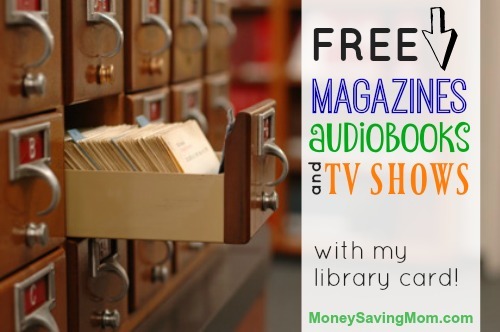 I have seen so many deals about getting magazines cheaper; but our Austin, Texas library actually offers FREE magazines through a site called Zinio. I can link my Zinio account to my library card and the magazines download onto my tablet. I am even notified whenever a new issue of the magazine comes out every month! I can also download audiobooks through Overdrive so I can listen to while I drive. This account is also linked to my library card. And then there is Hoopla, also linked to my library card, which gives me about 5 movies, tv shows, or music selections each month — all for FREE!! Great for those who are able to read in that way though!! Oh my goodness! I so agree with you. Thought it was just me, but I cannot read with all that shifting.